After a lifetime of ogling Porsches and a year or so of searching for a Boxster after discovering that owning one was within the realm of possibility for me, I finally have keys and title in my hand. 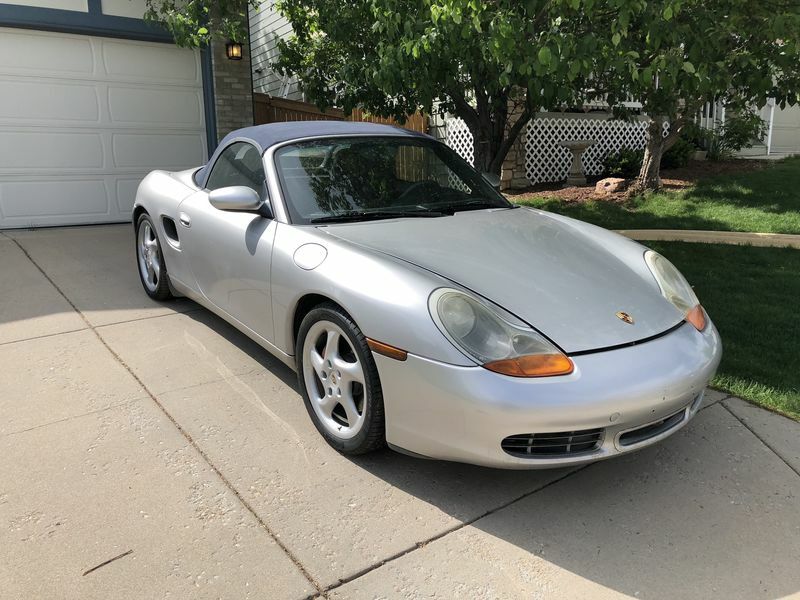 It's a 2001 Boxster S, and was advertised on CL as a roller, but it starts and runs. AOS failed and needs replacement. Some water that leaked through the driver's side door seal triggered the immobilizer, but after drying out, the car starts right up. I'm sure there are some other issues given the low price I paid, but I'm really looking forward to putting in the work. It likely needs a clutch replacement, so I'll do the IMS while I'm in there. I was looking for a Porche, drop top, or project car, and this baby ticks all three boxes. Congrates, and lucky the AOS can be an expensive problem. Welcome to the family, lots of smart guys on here. Congratulations and good luck with the project. Would be nice to see some photos, congrats on your purchase. I have a base 2001 that I got for $4500, so my Boxster was also a project car. Mine has high miles (for a Porsche), and the suspension was shot. Otherwise the car is actually in pretty good shape, and I'm really enjoying it now. I do track days with it, but mostly it is just a weekend fun car. I'd love to see pictures of yours! Here it is right after pulling it off the flatbed into my driveway. A few paint chips need to be filled, headlights reconditioned, and a good bath and buff, and it's going to look practically brand new. 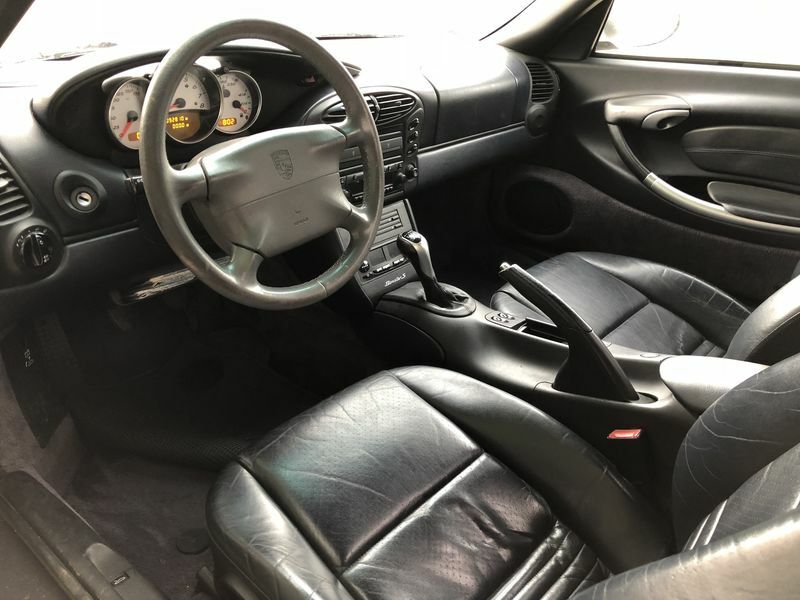 Interior is pretty good. Seats need a shot of Lexol, and the steering wheel is a crime scene. There are a lot of miles on it, but I'm planning to do all the engine work myself. So far it doesn't seem like it needs too much work. AOS is on order and I hope to be driving it by this weekend. I replaced the AOS today and the car is running perfectly. Took about an hour and a half. Replacing the AOS took just over an hour, and fishing my 10mm socket out of the bottom of the engine compartment took about 20 minutes. Next up will be having Qmulus help me repair my immobilizer so I can roll my windows down, open my frunk, and lock my doors. If you want another small project, I would ditch the CD tray for a shelf (PN: 996-552-253-01-01C), great place for your wallet and phone while driving. Good idea. I’m also going to remove the ashtray and turn the cigar lighter into a usb charger. Bought a 3 spoke steering wheel today, so as soon as that’s in I’m done with upgrades.